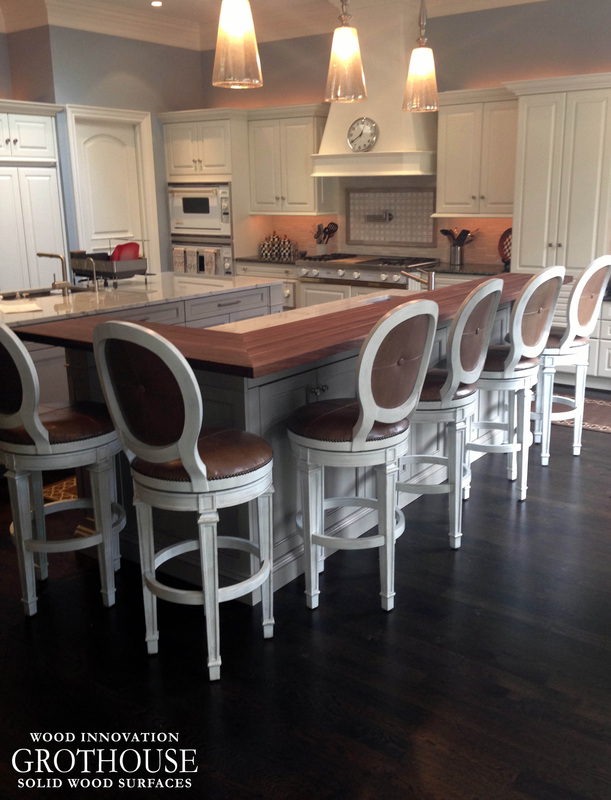 An extremely popular design in today’s homes are kitchen islands that include a bar seating area. Grothouse wood surfaces are often used for kitchen islands. This is because wood is a warm, relaxing material – and much better for eating breakfast and drinking a cup of coffee on a cold morning than stone or concrete. 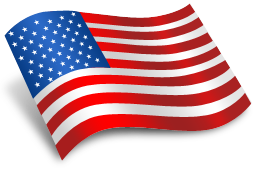 Wood is also very kind to fine china and other tableware. 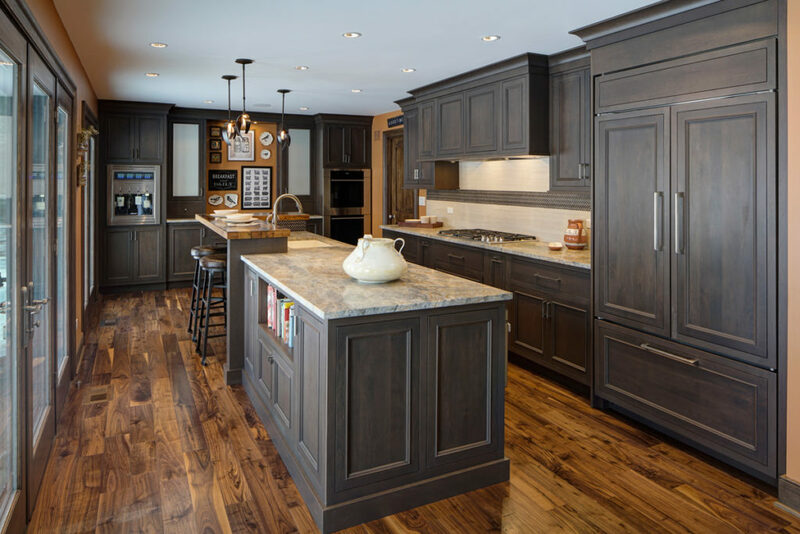 Most designers incorporate the wood surface as the entire kitchen island top, although some designers choose to only use the wood surfaces for the bar seating area. Here are some kitchen island bar ideas for inspiration. 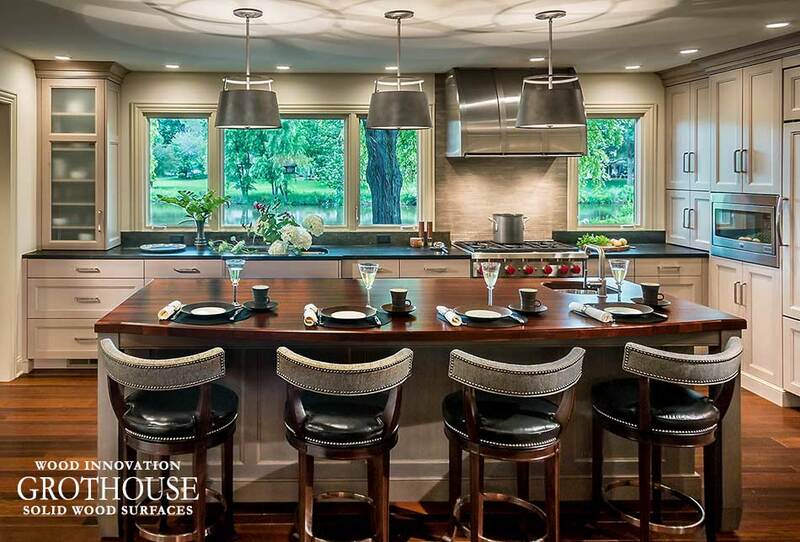 Past Basket designed this Peruvian Walnut wood countertop to grace the entire kitchen island. On one side of the island, there is a sink and plenty of food preparation space. On the other side of the island is a great bar seating area. This kitchen island makes for a great entertainment space. 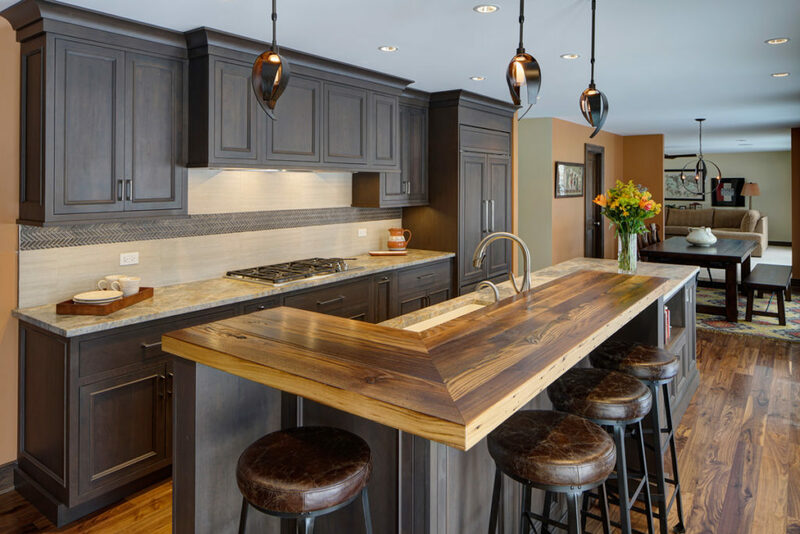 Showcase Kitchens designed this distressed Walnut wood counter for the entire kitchen island top. Similar to the last design mentioned, this kitchen island has a sink on one side with plenty of food preparation space, and a bar seating area on the other side. 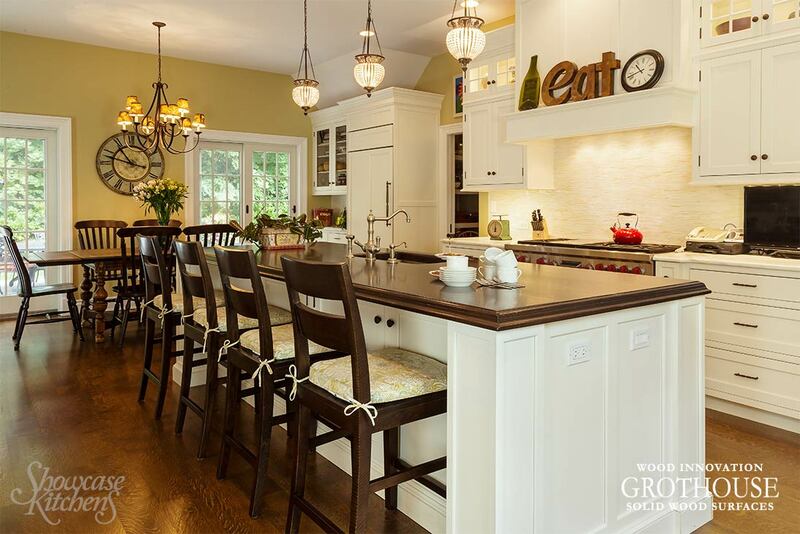 Libby Mullin designed this kitchen to have an island with two Walnut wood countertops. 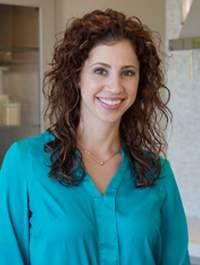 One countertop is for the lower level of the kitchen island, which can be used for a food preparation space. The other countertop is raised creating a bar seating area. 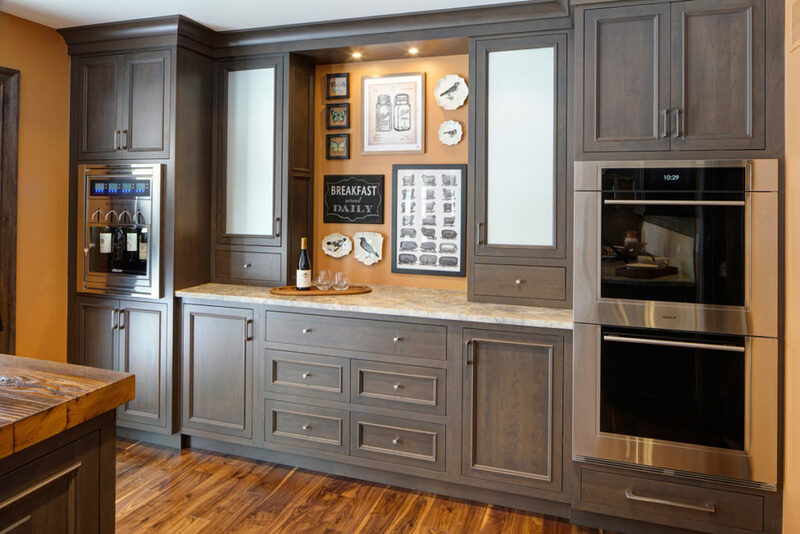 This clever design takes advantage of every available inch of the island space. Braam’s Custom Cabinetry designed this kitchen with two islands. 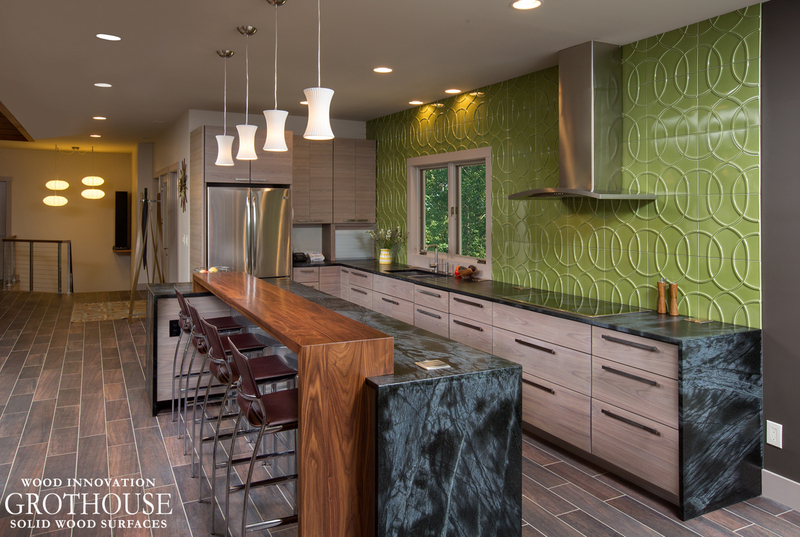 The kitchen island shown in this image exhibits how wood and marble can be united for an overall beautiful appearance. 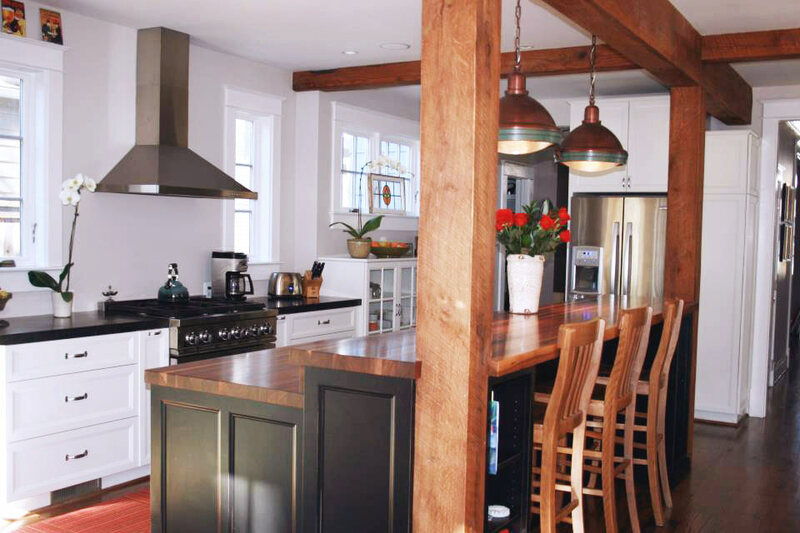 The raised wood kitchen bar allows for a comfortable seating area. 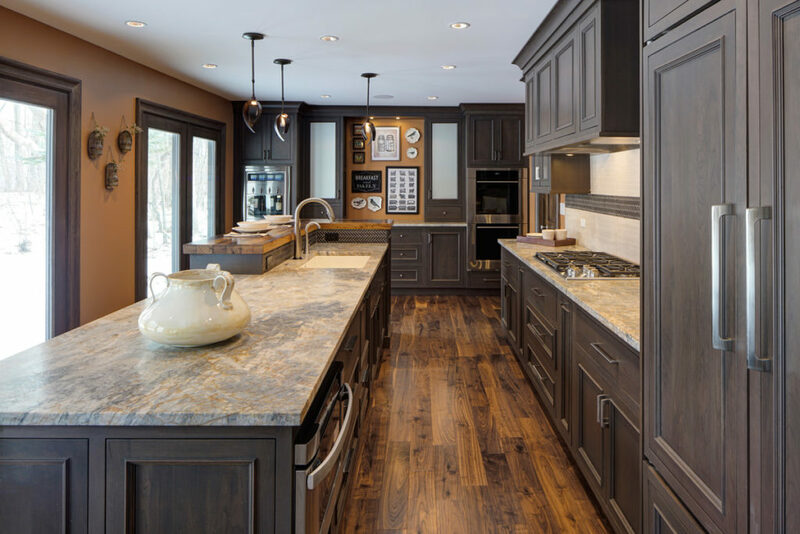 Since wood is a warmer material than marble, it naturally lightens the feel of the kitchen. 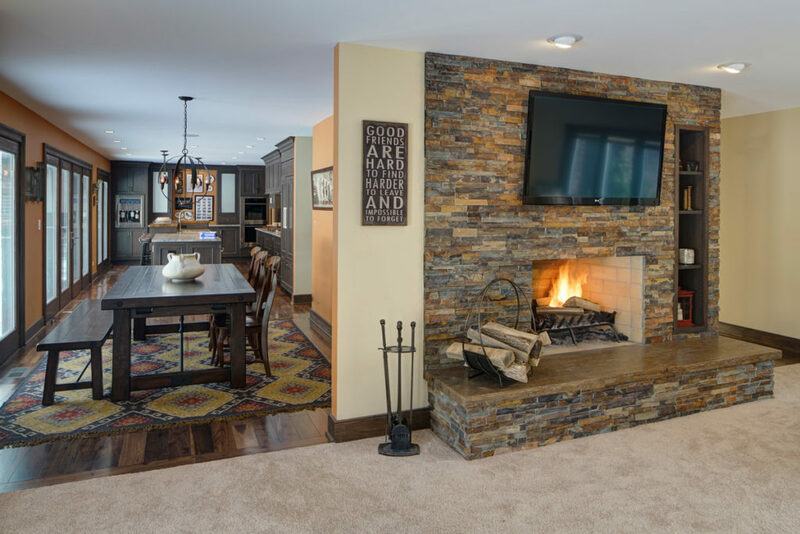 Griffey Remodeling designed this kitchen island to include a Grothouse Walnut wood Pastore™ waterfall counter for the bar seating area. For more kitchen island bar ideas, visit our Countertop Image Library.